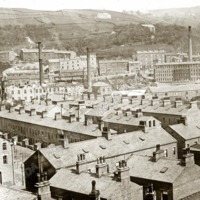 Hangingroyd area of the town looking up to new, at the time of this photo, housing on Keighley Road. 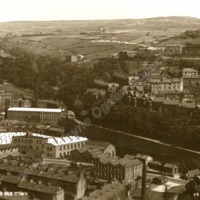 The large house at the end is Ashley house on Hangingroyd Lane. View from Moss Lane probably early 1890s. 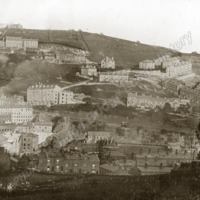 On the hillside on the left the Stubbings estate built during the 1880s and climbing up the hill Cliffe Street and above that Blenheim Street. 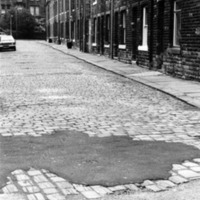 Nutclough Mill has extensions to left and right.